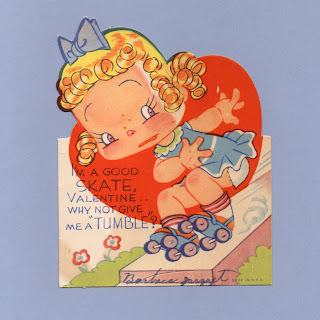 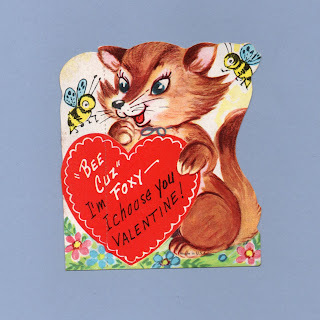 Fox - You Know You are a Cute Little Heart Breaker, Foxy Lady! 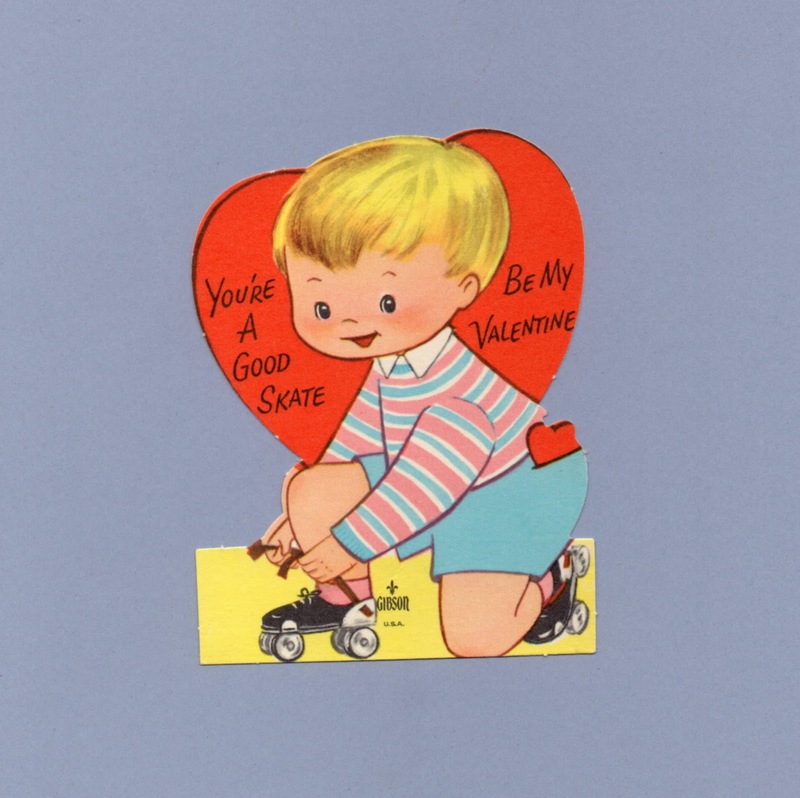 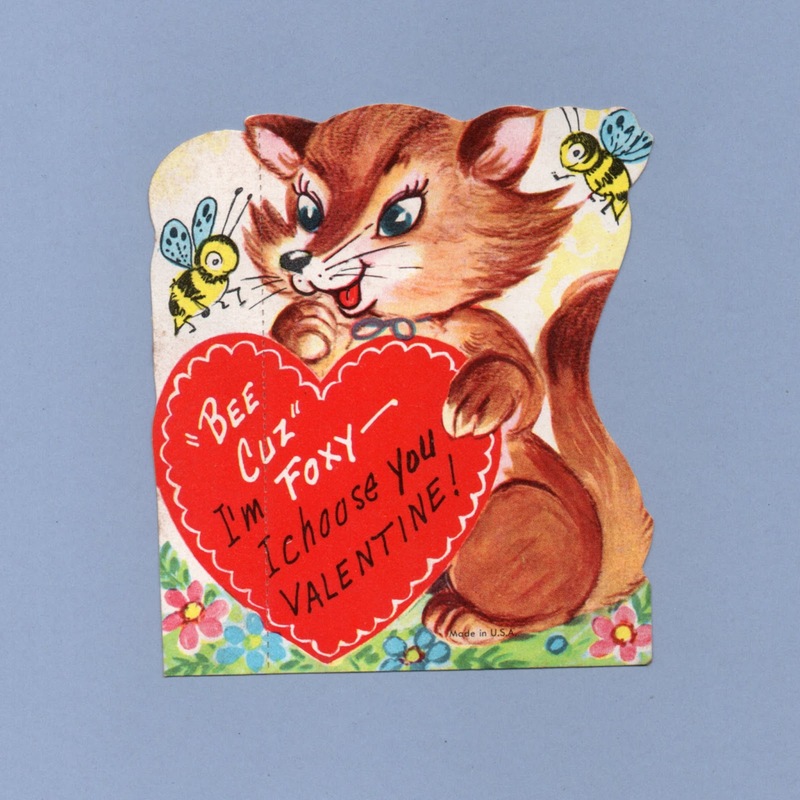 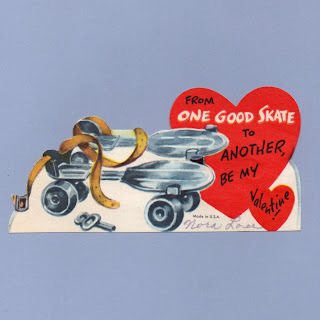 BEE CUZ I'm FOXY - I choose you Valentine! 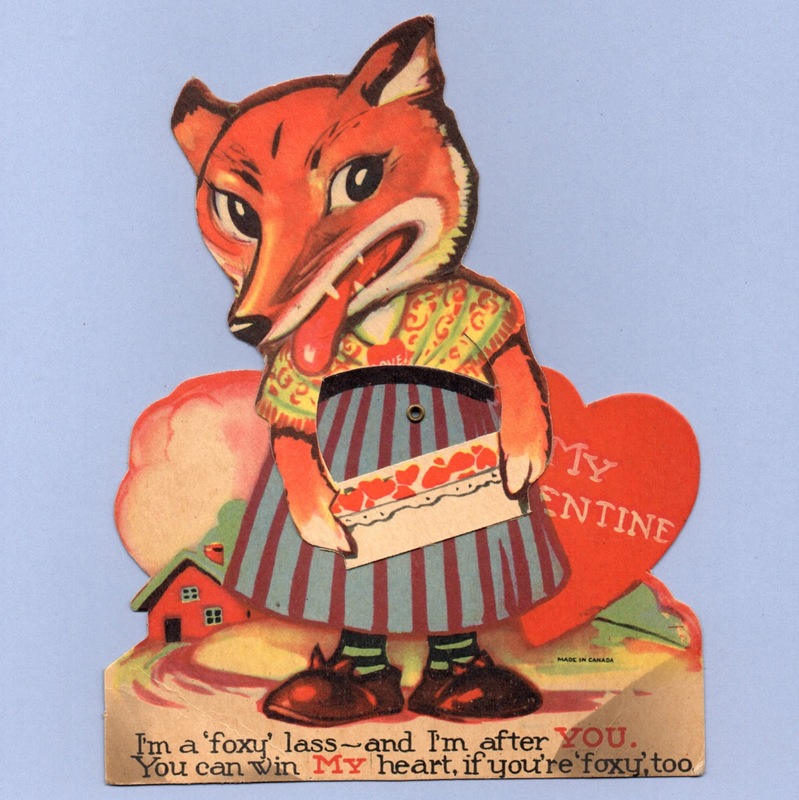 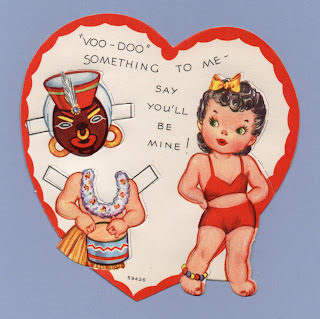 My Valentine - I'm a FOXY lass - and I'm after YOU You can win MY heart, if you're FOXY, too. 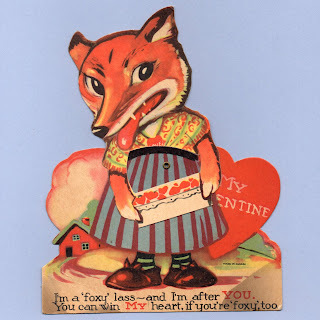 My Valentine I'm a FOXY lass - and I'm after YOU. 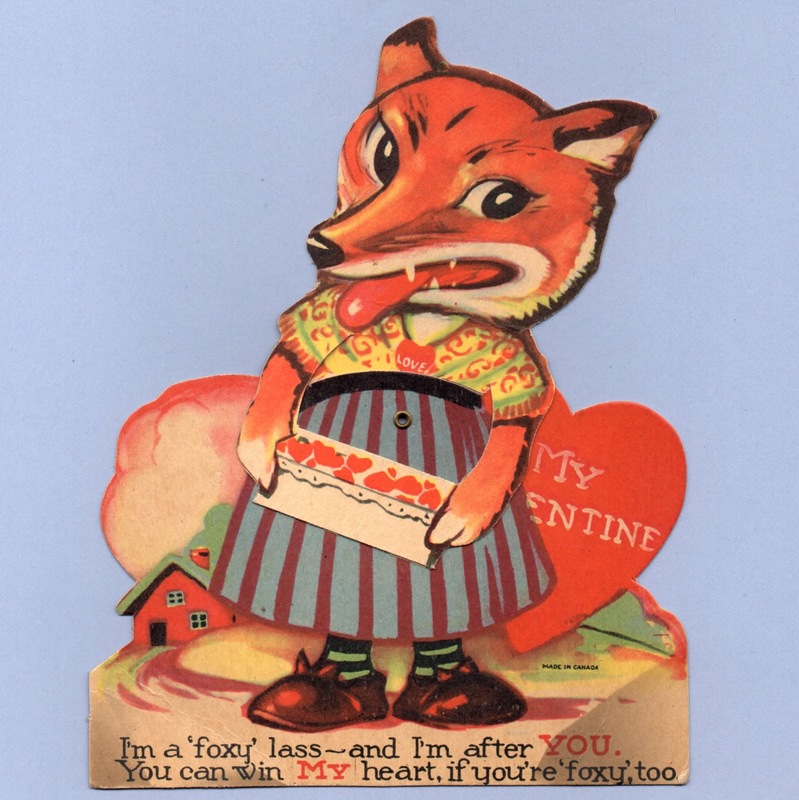 You can win MY heart, if you're FOXY too. 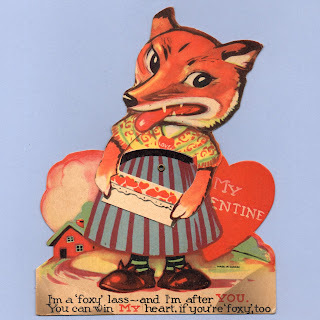 4 3/4" x 5 7/8"
Head of figure looks more like a bear than a fox - a manufacturing mistake?